altitude difference that's about average compared to other Southern Hemisphere ski resorts. The 624 foot altitude difference is naturally not that much to brag about, but Charlotte Pass compensates for it by other means. The 4 different ski lifts here are competently taken care of and operated by caring people. Tremendous exercise and spending some quality time in the wilderness outdoes anything. When this section of Australia, New South Wales is covered in ice cold snow; it is truly a great time of year for snowboarding or skiing. 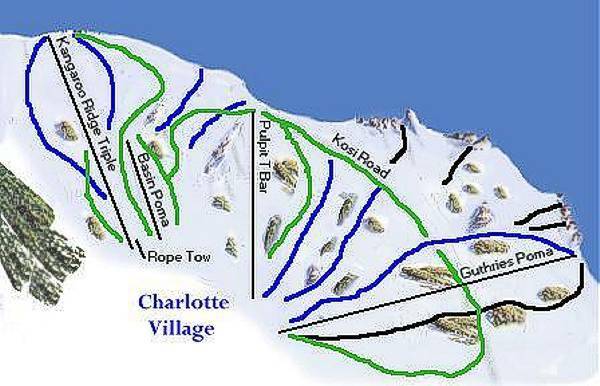 Charlotte Pass is a family friendly ski area with a lot of intermediate or beginner ski runs.